The History of Carbon Nanotubes – Who Invented The Nanotube? The history of carbon nanotubes is not entirely clear even for those in the science therefore giving proper credit to the person that invented the carbon nanotube has been the subject of several high tech debates among the scientific communities. The initial history of nanotubes started in the 1970s. A preparation of the planned carbon filaments was completed by Morinobu Endo who was earning his Ph.D. at the University of Orleans, France. The growth of these carbon filaments were initially thought to be the first carbon nanotubes. However, they failed to meet the measurement requirements for width and thus were deemed, eventually, barrelenes. This was still a highly important development in the history of carbon nanotubes, but it just wasn’t the right time to be considered the first recognized invention. Giving the proper credit to who invented carbon nanotubes would not come along for another 20 years. In 1991 the true first invention of nanotube was finally made. It seems as though there was a race between Russian nanotechnologists and Sumio Iijima of IBM. The first observation of the multiwalled carbon nanotubes was credited to Iijima. There are some that hold the belief that in the 1950s there was an initial discovery of what could have possibly been seen as the first carbon nanotubes had Roger Bacon had the high powered electron microscope that would have been necessary. He was credited with the first visual impression of the tubes of atoms that roll up and are capped with fullerene molecules by many scientists in the field. Some state that his discovery just wasn’t taken very seriously at the time because science did not know how this discovery could impact scientific research. It would be in 1993 that Iijima and Donald Bethune found single walled nanotubes known as buckytubes. This helped the scientific community make more sense out of not only the potential for nanotube research, but the use and existence of fullerenes. With this information, the complete discovery of carbon nanotubes was realized and Iijima and Bethune were ultimately credited with their discovery in their entirety. Russian nanotechnologists were independently discovering the same visual affirmation. They were just a little bit later in their announcement and the potential affect of this discovery. The continuation of research revealed a great deal about nanotubes and their place in scientific discovery. The research has indicated that there are three basic types of nanotubes (zigzag, armchair, and chiral) as well as single walled and multiwalled nanotubes. There are buckytubes, which are completely hollow molecules that are crafted from pure carbon and are bonded together in a pattern of specific hexagon patterns. The multiwalled nanotubes are likely to suffer from defects. These defects happen in more than half of all multiwalled nanotubes. The multiwalled nanotubes have already made appearances in practical applications like creating tennis rackets that are stronger than steel but are ultra light in weight. These nanotubes are also responsible for creating sunscreen and other skin care products that are clear or able to be blended into the skin without leaving behind residue as well as the creation of UV protective clothing. As nanotechnologists continue to research nanotubes, there is still a race to discover something new within the science. Scientists are researching the potential for life saving techniques as well as the potential to create nanotubes that can be tailored toward specific designated jobs. With the creation of specified nanotubes, the potential for their use will become unlimited and there will be a nanotechnology world hard at work crafting all kinds of products from the convenient to the life saving. While Roger Bacon might not have been completely aware of the impact his discovery had on the scientific world, he is technically the first scientist to discover these hollow tubes of carbon that are changing lives on a daily basis. Since the initial rediscovery of the nanotubes in 1991, who discovered carbon nanotubes is no longer as important as who can come up with the most practical applications. The nanotube is a molecular structure that can be manufactured, or discovered. In reality, the nanotube is invariable and can not be anything other than a hollow tube of carbon that remains within the specified single molecule width requirement. With its invariability comes the potential for scientists to create a wide variety of practical applications by testing their potential for directivity and versatility. This entry was posted on June 17, 2009, 2:07 pm and is filed under nanotubes. You can follow any responses to this entry through RSS 2.0. You can leave a response, or trackback from your own site. 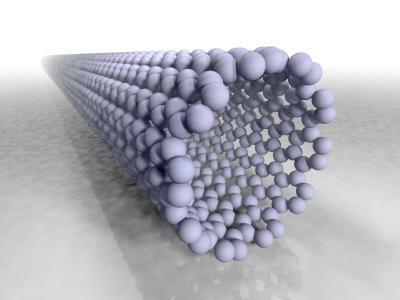 Understanding Carbon Nanotubes – What Is A Nanotube?